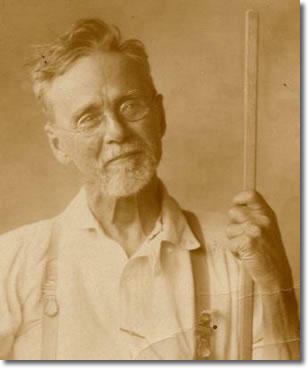 I have been reading an amazing biography of A T Still, the father and developer of osteopathy who lived from 1828 - 1917. 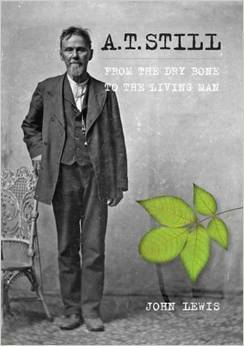 It is written by John Lewis, an osteopath who lived in Kirsville, Missouri, reaseaching Still's life for four years and drawing together a myriad of resources to compile this book. There is often treasure to discover in going back to consider the influences and passions of someone who came up with such a radical approach to healthcare and I have to say that I found numerous gems! I thought the following excerpt was as relevant for us as students of CST as it would have been back then for the trainee osteopaths. 'Cultivating the right mental attitude was only the beginning... Still’s extraordinary results depended not only upon anatomical erudition and skilled hands but also upon the development of latent mental faculties. The mind was a potent tool to hone for mastery of the art of osteopathy. The first step was to perfect the art of visualization. Still insisted that his students retain in their minds a ‘living picture’ of every part of the body, as an artist would paint a face or scene from memory. 'And of supreme importance was the way Still visualized - from the perspective of the cell and its requirements for normal function. He studied nature always from the inside, the heart, and as a subject, not an object. He looked from the creative angle. Nature was always intelligent, dynamic, in constant flux. He did not think by the book but by the moving event, and that is just about all the difference in the world. 'He made himself 'en rapport' with the body he studied: he tried to be that bone, live in the liver, he thought as a measle, he put himself inside that spleen or the greater trochanter, to feel its operation as a part of the great unity of action and of logic and of life that was that body. So conscientiously did Still train this power of visualization that he saw conditions and processes as a whole and by this ability could pick out the mechanical key to the disturbed function that the patient recognized only as discomfort or disease. While this does differ a little from our CST approach there are disctict similarities and both these teachers shared the deep belief in the body itself, the Inner Physician for Dr John, Nature itself for Still, to hold within it all the necessary keys for optimum health!